Complete systems of 3D painting inside pressurized cabins and through latest generation anthropomorphic robots. 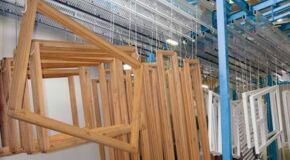 The process is completed by hot, IR and micro-air-drying systems. 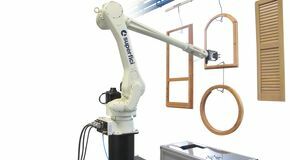 Inspired by the craftsman's arm movements and transformed into a six-axes anthropomorphic robot with the possibility of extension to eleven. A new quality and efficient finishing method for painting windows frames and doors.